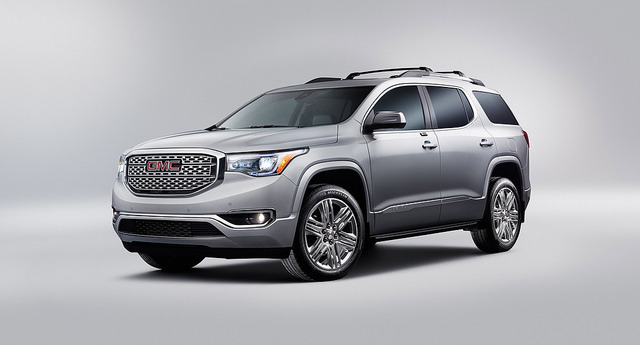 Finding the perfect mid-size SUV that’s safe enough for your family isn’t easy, but the new GMC Acadia offers plenty of new technologies to close the gap. The luxury mid-size SUV segment is incredibly competitive, especially when it comes to safety, so here’s a brief look at the innovative safety technologies available in the 2017 GMC Acadia. Keeping track of your teenager can be hard, especially once they get their license and get behind the wheel. Fortunately, GMC’s Teen Driver mode enables parents to keep track of their teen and set limitations. Parents can check out their child’s driving habits via the Report Card feature and help encourage safe driving habits. A standard Rear Vision Camera is helpful, but it can’t prevent every accident. Available Rear Cross-Traffic Alert makes use of radar sensors to detect cross traffic when reversing. The innovative technology will alert the driver if there’s a problem. Vehicles in your blind spot can be a problem and a major safety hazard, especially if they linger there. Fortunately, available Side Blind Zone Alert will alert drivers to a vehicle in their blind spot as soon as the turn signal is activated. Get behind the wheel of the new GMC Acadia here at Rivard Buick GMC today! This entry was posted in GMC Acadia, Uncategorized and tagged 2017 GMC Acadia, luxury midsize SUV, Rear Cross-Traffic Alert, Side Blind Zone Alert, teen driver mode. Bookmark the permalink.